A nutritionist in your pocket! 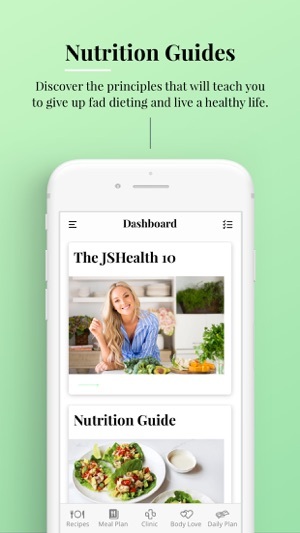 As seen on weekly favourites, the JSHealth App contains a world-first online nutrition clinic that provides the tools you need to reach your health goals. Join over a million people around the world who have revolutionised their health, diet and lifestyle with the help of Jessica Sepel, clinical nutritionist and best-selling health author. You will gain access to qualified JSHealth nutritionists who are available to answer all of your health questions and act as your health guide. 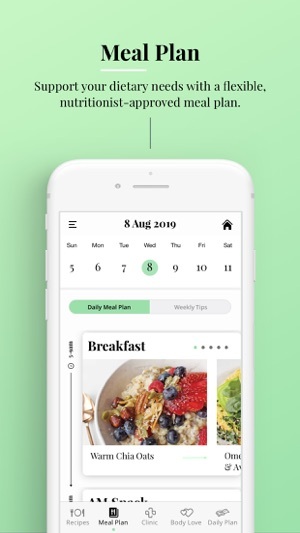 Access a customisable daily meal planner and food guide along with dynamic shopping list, hundreds of healthy recipes, body love support, daily lifestyle tips, a personal health tracker and much more! 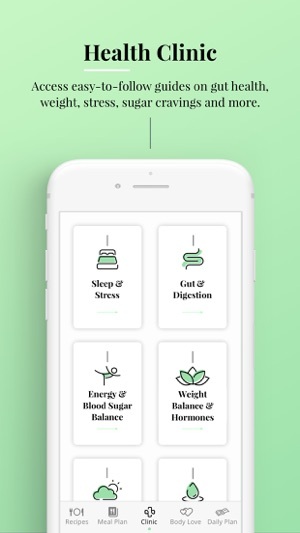 The JSHealth App is designed for anyone who’s ever struggled with their weight, diet or health and could benefit from a health coach. Say goodbye to counting calories, restricting food intake and over exercising. 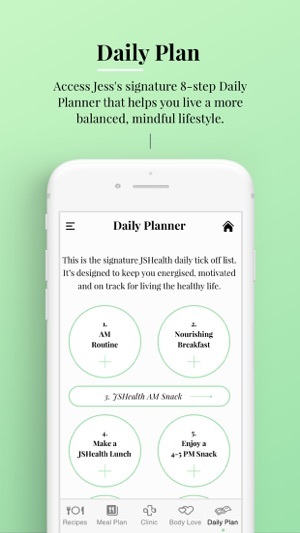 The JSHealth App will help you to quit fad dieting for life, teach you to cook quick and easy meals, achieve your health and wellness goals with ease and find body love for life. We’re here to support your journey and help you discover how easy healthy living can be. JSHealth is free to download. Ongoing use requires an active subscription available on a monthly, quarterly or yearly plan. Customers who choose a monthly subscription are eligible for a free 7-day trial. Monthly subscription users are billed per month, quarterly subscription users are billed per quarter and yearly subscription users are billed per year. You will be charged through your iTunes account. You can turn off the auto-renewal up until 24 hours before the end of the subscription period. 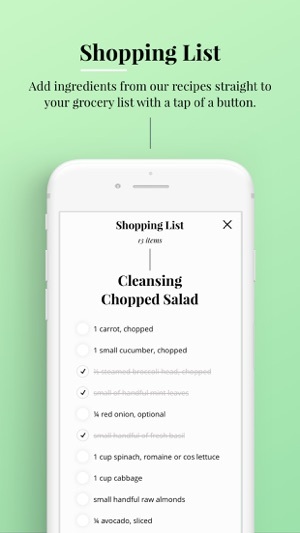 • Customisable Meal Plan – app users will now be able to select any recipe from our selection of over 300 to add to their Meal Plan. This means you can create your own personalised weekly menu! • Two New Nutrition Clinic Rooms – Mums & Bubs with practical tips and tools for busy mums. Plus Featured Experts with guides written by experts in their chosen field. 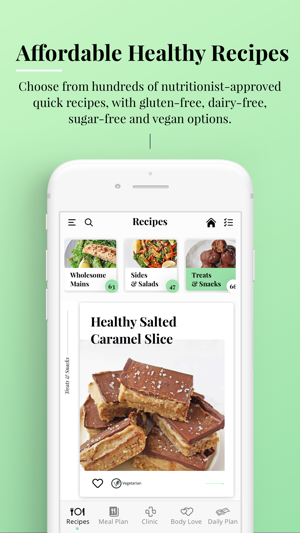 • Two New Recipe Tiles – Snacks = a whole section dedicated to simple snacks and Guest Recipes = a new feature where our favourite people in the health and wellness space will be sharing their favourite recipes. • Ability to save and customise Build A Meals – any and all Build A Meals created will now be saved to their own section on the Dashboard. Create and name your own recipes. • Vegan & Vegetarian Recipe Tags – tags have now been added to all of our plant-based recipes to allow for quick and easy identification. • Daily Plan – evening routine is now customisable to allow you to add in your favourite wind-down practices. 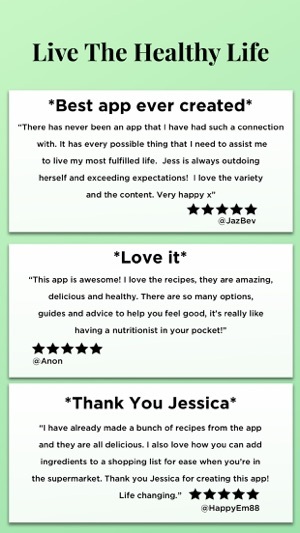 If you’re loving the JSHealth app, please rate it 5 stars and leave a review to spread the JSHealth love! Jess!! 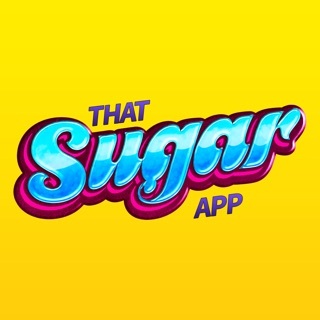 Oh my gosh this is an amazing app... I cannot stress enough how much this has helped me through-out my day to day life. I’ve struggled with cooking for a while (definitely not a great cook) so the recipes section of this app is amazing for on the go inspiration for my dinner and lunch. I’ve become such a huge fan I thought I’d jot down a few of my favourite features for anyone thinking of downloading, Jessica Sepel is the creator of this app and I’ve followed her for a while so worth checking her out as well. 1. The recipes (I’m not a vegan but there are heaps of really good vegan recipes on there, I’ve tried 2 and they are great!) the rest of the recipes are so healthy and easy to make!! 3. The nutritionists, I’ve asked one question on the chat section and enjoy reading others but I think the idea of having a nutritionist in your pocket is amazing- for any on the go nutrition questions you might have. 5. Vitamins and food swap recommendations - just so easy to see what Jess does and recommends. I’ve already seen huge changes in my energy and over all healthiness I would seriously recommend this app - hope this helps some people! This is healthy food that actually takes great. Love JS health recipes. Such a healthier and more effective way to lose weight. I know more recipes will get added with time. 2. Add the ability to multiply a recipe. So I make breakfast for the week or cook for a family of four. Either way I do not want to be multiplying one serve in my head. This could be available on the recipe itself but especially in my shopping list. Otherwise I send my partner to the grocery store with the shopping list and he buys 1/4 of the ingredients we need. Hi! So happy you're loving the App and the recipes. 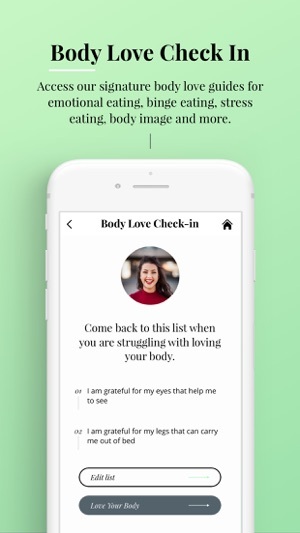 This is a full service app with a 360 degree holistic approach to health and well-being. The recipes are simple and delicious, the variety is outstanding. 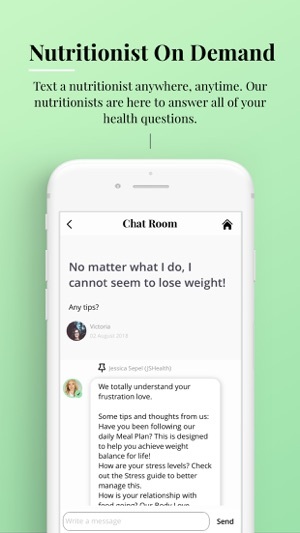 The educational information in this app is so vast and easy to understand and implement, topics cover everything from digestive, hormonal and other medical issues, mindfulness, beauty, cleansing, lifestyle, exercise and a huge array of other topics, insights and guidelines you can seek out and implement. I LOVE this app... my journey to finding myself again has been made so comfortingly easy because of the JShealth app. Don’t hesitate and sign up for the year, it is 100% worth it for an overall happy and healthier you.